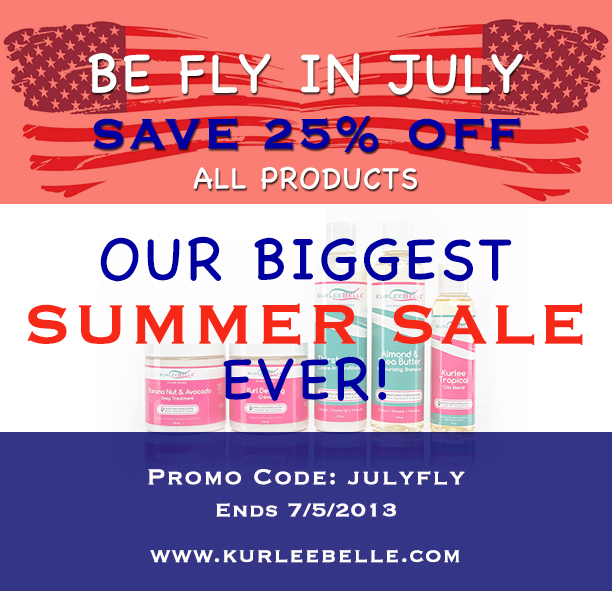 Take advantage of this Independence Day Sale and Save 25% OFF all natural hair products. 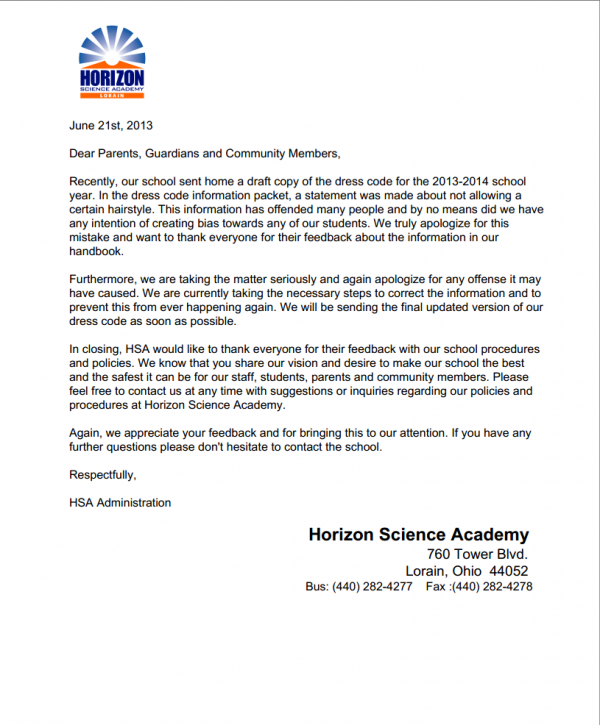 On June 24th, 2013, an Ohio School, Horizon Science Academy, released its updated dress code to parents which stated, Afro-puffs and small twisted braids, with our without rubberbands, are NOT permitted. Any child of African descent, who does not have a relaxer or straightened hair will have an Afro-puff if their hair is placed in ponytail holder. 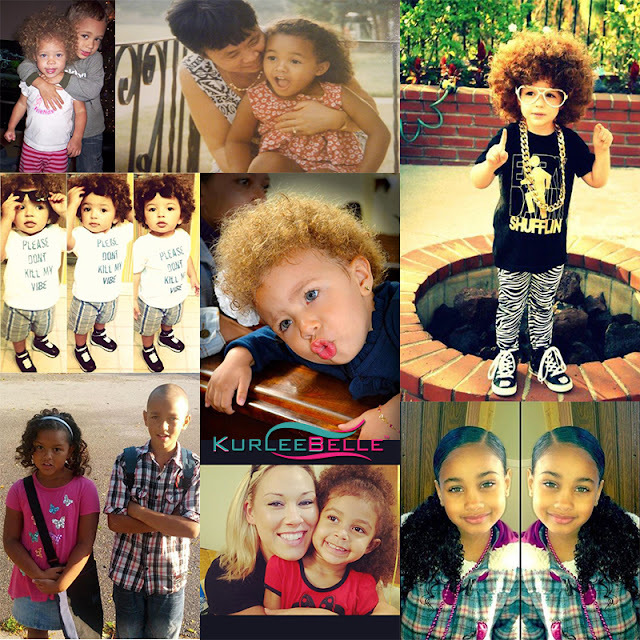 Many African American parents opt for braided hairstyles or small twisted hairstyles to secure their child's hair. Banning hairstyles which are specific to a particular race is discriminatory. 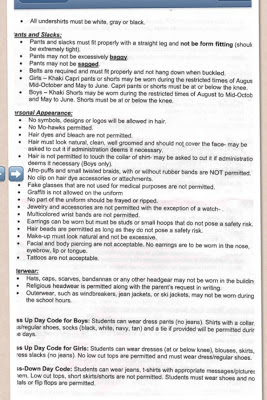 The fact that the school used the language "Afro-puffs" in its dress code singles out individuals of African descent because Afro-puffs technically can only be achieved by this group of people. 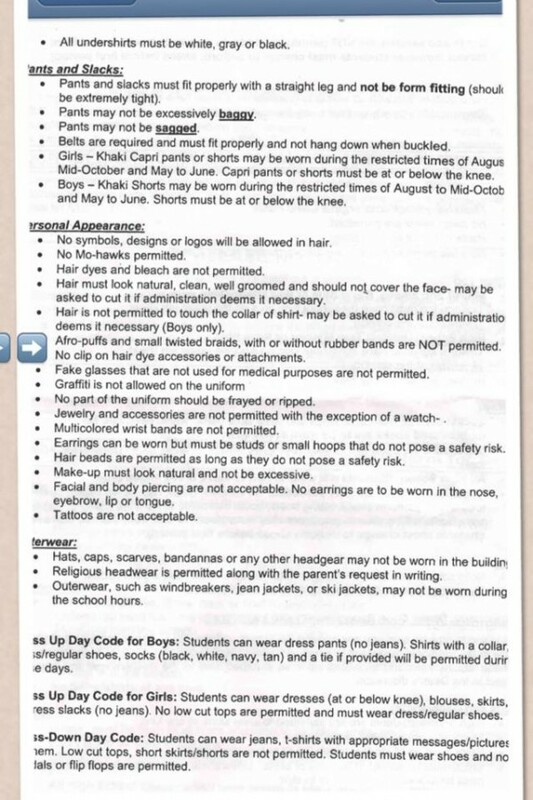 If the school had stated that unsecured ponytails were not permitted this would have include any person regardless of race. Whether natural hair is appropriate in the work environment has been a hot topic in the natural hair community for quite some time. Many women prefer wearing their hair straightened on interviews as not to make their possible former employer uncomfortable or ruin their chances of landing the job. Now schools are questioning whether natural hair is appropriate in order for children our to learn? I am a firm believer that it is more important what is in our heads than on it. 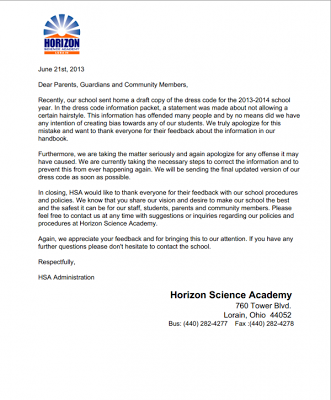 Read the letter below. 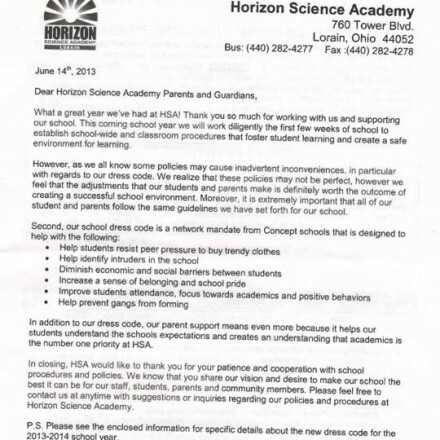 The school issued a statement that the dress code will be amended because many parents were outraged. Do you need natural hair inspiration? Tired of rocking the same hair style? Want to try color? We post daily natural hair styles on our Instagram page. Be featured on our page by tagging us in your pics #kurleebelle. We would <3 to see your face & hair! I am a complete technology/social media junkie. When I heard about Vine and it's 6.5 second videos, I could not resist. The only app that I love more than Vine is Instagram. Today, Instagram released an updated version of it's mobile application to include 15 second videos. Since the update, twitter has been flooded with tweets, bidding farewell to Vine. So it was only natural to join in on the fun. 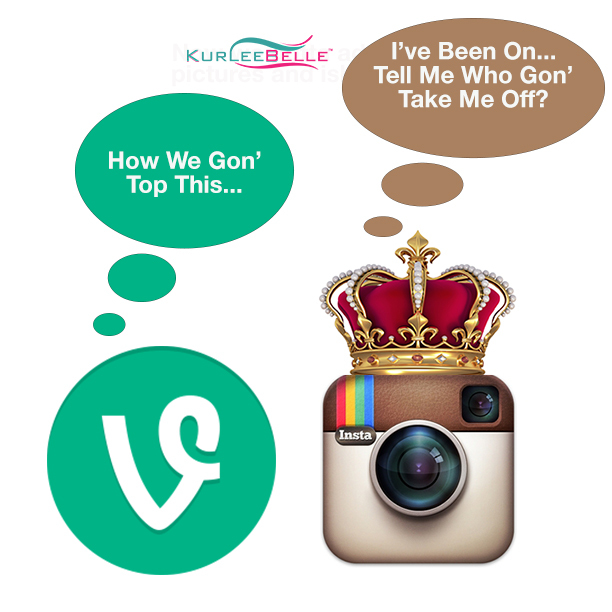 Tell us...Will you be leaving Vine now that Instagram has video? I think I will stay with Vine for a little while longer but I am STOKED about Instagram video. Visit our Instagram page to see our very first Instavideo! Click Here. "I'm just curious if you are going all the way natural chemical free why would you put color on your hair? Isn't that a chemical as well?" Pairing the two definitions, Natural Hair, would be defined as 'fine threadlike strands that grow from the skin of humans, having a color characteristic of the unbleached and undyed state.' Therefore, one's hair which has been subjected to chemically processing through manmade bleaching or dying is technically not considered natural. The main ingredients in bleaches and permanent coloring are hydrogen peroxide or ammonium hydroxide. These ingredients work at a pH of 8 or more to the lift the cuticle so that the melanin can be altered. Bleaching affects the hair's strength because it disrupts the cuticle. Semi permanent color however does not include bleach but includes ammonium to lift the cuticle. Bleaching/coloring the hair involves high pH levels that lift the cuticle and destroy melanin to add pigment. The effects of using a relaxer or coloring the hair are irreversible, therefore the hair is no longer in it's natural state. Depending on what your reasons are for going natural, you may want to avoid coloring. 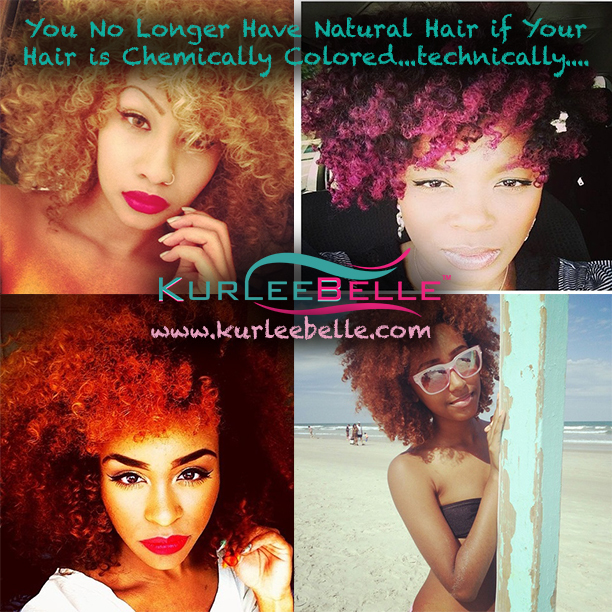 If you went natural because you wanted to grow healthier hair then beware of using color because it weakens the hair. If you went natural because it is in 'trend' then coloring is not a problem. Natural Hair | Art Exhibition in NYC "You Can Touch My Hair"
The age old fascination with African hair continues. Today (and tomorrow) in New York City's Union Square, an art exhibition, will take place featuring live models with natural hair. To many races this may sound a little weird, for instance, "Touch White People's Hair....See How Straight It Feels?" Crazy right? Well for those who have African in their family, many people would love to reach out and touch our mane without being offensive or flashed the evil eye. The germaphobe in me is screaming, "No don't let them do it. People put their hands in the weirdest places." The topic of whether or not to let others touch your hair is not new to the natural hair community. There are several memes floating around cyber space, that proclaim our hair is not a pet. Many believe that there is a racial undertone when it comes to other ethnicities wanting to touch our hair but I think it is just curiosity. 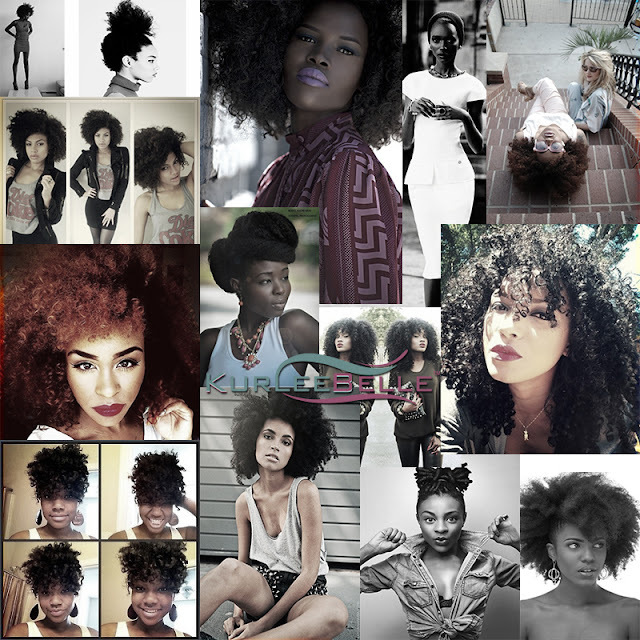 Let's face it, we have the capability to wear many different hats because of the versatility of our hair. To name a few, natural hair can shrink into a retro afro, stretch into long spiral curls and be blown out into flowing locs. What other hair texture can do this? That's what I thought, unless you have African in your family there is a limit to what can naturally be done to your hair. In the minds of those who don't have African in their blood, there is something mysterious about natural hair. It bends, curls, holds water and looks like a sponge. Hopefully the curiosity surrounding our sometimes springy manes will be put to bed. I wish I were in NYC to document this momentous occasion. For those of you that are in the area, you can check it out from 2pm to 4pm (June 7th and June 8th). The exhibit is hosted by un-ruly.com, "a place for black hair." Would You Let A Stranger Touch Your Hair?